You sent in dozens of names for a new Bremerton ferry. It’s time to start narrowing them down. If you’re just joining us, we figured who better to name the boat than the people it serves, and decided to coordinate a community nomination. We’re ahead of schedule. Vigor hasn’t even started building the 144-car boat yet, and it’ll take a couple of years after that before it hits the water. 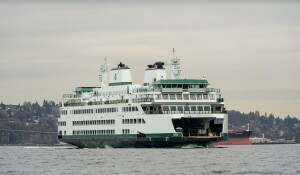 The ferry’s two sisters, Tokitae and Samish, were named in November 2012. 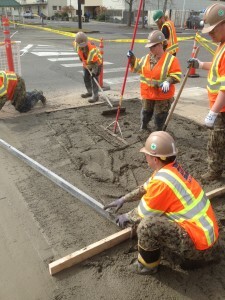 Tokitae is supposed to begin service June 15 on the Mukilteo-Clinton route. Samish will follow in early 2015 in the San Juan Islands. So there’s a lot of lead time. Washington State Ferries hasn’t told the state Transportation Commission, which is in charge of naming, when it’ll need one. The commission requires three or four months to conduct the selection process, according to Reema Griffith, its executive director. Believe it or not, we’ll need some strategy to cut down the list. All but one of the current 22 ferries have tribal names. The Transportation Commission’s guidelines state that it values consistency with existing names. To have any shot to get our nomination selected, do we need to stick with Indian words or can we diverge? Here are the existing names: Cathlamet, Chelan, Chetzemoka, Elwha, Hiyu, Hyak, Issaquah, Kaleetan, Kennewick, Kitsap, Kittitas, Klahowya, Puyallup, Salish, Sealth, Spokane, Tacoma, Tillikum, Walla Walla, Wenatchee and Yakima. Only Evergreen State, which will be retired this summer, has a non-tribal name. We could play it safe by advancing another Indian name. Ideally, it would have ties to Kitsap since it’ll be based here. There’s nothing that says the new boat can’t leave Bremerton, however. The Chetzemoka, named for a Port Townsend-area chief and meant for the Port Townsend-Coupeville route, now sails off the south end of Vashon Island. They move around. A couple of existing names, you probably noticed, already have Kitsap ties, like Kitsap. It means “brave” or “war chief” to the Suquamish Tribe. Sealth, or Chief Seattle, was chief of the tribe. There’s no ferry named Suquamish, though, or S’Klallam, our other tribe. Another suggestion sent in was Princess Angeline, Chief Seattle’s eldest daughter. A Mosquito Fleet boat was named for her, and the name made the Final Four for a new Kitsap Transit passenger ferry. It would be strange to have a big Princess Angeline and little Princess Angeline docking in Bremerton at the same time. I like Enetai and Illahee, Indian words and place names that have been ferry names in the past. Enetai means “across,” “opposite” or “on the other side.” Illahee is “land,” “country” or “place where one lives.” Both are communities just north of Bremerton. Chico also was suggested. The community between Bremerton and Silverdale was named for a chief who died in 1909 at the age of 105, according to a place name book. That was old in those days, and even now, for that matter. Guidelines say names of people should be avoided but will be considered if the person has been dead at least 10 years. They should have enduring fame or have played a significant historical role. How about a person who is an Indian? Nisqually tribal member Billy Frank Jr., a well-known environmental leader and treaty rights activist, died May 5. There are three other people you submitted — Tony Radulescu, a state trooper who was shot and killed in 2012 while making a traffic stop on Highway 16 near Gorst; Dennis Allred, a Kitsap County sheriff’s deputy who was shot and killed while on duty on Illahee Road; and Ivar Haglund, a Seattle folk singer and the founder of Ivar’s seafood chain. Any person’s name is going to be a risk, according to the guidelines. And how do you choose between Radulescu and Allred? Haglund was almost selected the last time around, but there isn’t a local connection, and I don’t know if it was because people were being goofy or really wanted a ferry named Ivar. Griffith of the Transportation Commission said Friday that the policy is not in stone, it’s just advisory. Ivar probably would’ve been chosen but the commission was concerned about promoting a business. So there are 10 nominations from our readers: Suquamish, Angeline, Enetai, Illahee, Chico, S’Klallam, Kalaloch, Radulescu, Allred and Haglund. If you feel you had a great one that I cut, make a pitch for it, or for something new. I’m still looking for something that I see and immediately know, “That’s the one.” I’ll finalize the list and put it out for vote in a couple of weeks. The north end of Washington State Ferries took the brunt of service problems from January through March, according to the Department of Transportation’s quarterly Gray Notebook. The system canceled 177 out of 38,726 sailings for a 99.5 percent reliability rate, bettering its 99 percent goal. It didn’t seem that dependable at times to riders on the Port Townsend-Coupeville route and in the San Juans. There were 100 missed sailings caused by tides and bad weather, and every one of them was at Port Townsend-Coupeville. When tidal currents run too swiftly — more than 3.5 knots — WSF doesn’t gamble going aground getting in and out of little Keystone Harbor on Whidbey Island. As the boat’s bow enters the calmer water of the harbor, the stern, still in the current, gets spun around. Eight boats had mechanical problems that resulted in 60 missed trips. Most were from the Sealth breaking down in the San Juans. Steering problems sidelined it for six days and resulted in 29 canceled trips. Crewing issues accounted for 29 canceled sailings. DOT says its because of the Coast Guard requiring more staff with higher training requirements on several of the boats. The San Juans also were late most often because the Sealth was replaced by other boats that were too slow to keep the schedule. Its on-time rate was 90 percent compared to 96.9 percent for the entire system. On an average day, just 13 out of 428 trips don’t leave the terminal within 10 minutes of the scheduled departure time. Four routes, including Seattle-Bremerton, didn’t miss any sailings all quarter. The system made more money in fares — $32.6 million — than any winter quarter in history. Josh Farley and I talk about naming a new Washington State Ferry that soon will begin construction and be assigned to the Bremerton route. The first batch of potential names for Washington State Ferries’ third 144-car vessel arrived over the weekend. The boat, which is funded but not yet under construction, is expected to be assigned to the Bremerton route, so we wanted to get local folks involved in the naming. The Transportation Commission is charged with naming ferries, but hasn’t asked the public for proposals yet. The 40 nominations that came in were about half serious and half silly. None knocked my socks off, but it’s not all about me. You’ll ultimately be the judges. All but one of the current ferries’ names have tribal connections. It’s not mandatory, but “consideration will be given to consistency with existing fleet names,” according to the Transportation Commission. Several proposals kept to that theme. Illahee (Indian word for earth or country. Community and state park between Silverdale and Bremerton. Puget Sound ferry from 1940 to 2007. Blake Island (State park east of the Kitsap mainland once used as a camping ground by the Suquamish tribe). Sidney (The original name of the city of Port Orchard, after the father of the man who platted it; also, the British Columbia town to which a WSF ferry sails. The guidelines say names of people should be avoided, but will be considered if the person has been dead for at least 20 years and has enduring fame or played a significant historical role. Those parameters would eliminate two of the three below, though I like the thought. Several suggestions had a Seahawk theme, like Seahawks, Seahawk!, Sea Hawk (twice), 12 and Russell Wilson. One suggested Resolute after the 1850s British ship that got stuck in arctic ice. From this bunch, I think my favorites are Enetai and Trooper Radulescu. I would keep my “Namu” proposal in the running. I’d like to mention some of the snide ones, but most aren’t that funny. Your typical stuff. Ko-min-at-cha isn’t bad. We have plenty of time, so keep those suggestions coming. The next state ferry should be named the MV Namu, in honor of the killer whale who starred in my 10-year-old summer. It’s a tribal name, like all but one of the other ferries (Evergreen State). A sister ship is called Tokitae, which to the Coast Salish people meant “nice day, pretty colors” but is also the name of an orca captured at Penn Cove on Whidbey Island. The Tokitae will start running between Whidbey and Mukilteo next month. The third ferry in the class, which Vigor hasn’t started building, will be assigned to the Bremerton route, so we should name it. It’ll cruise right past Rich Cove, where Namu stayed. Namu was caught in June 1965 near the First Nations community of Namu, British Columbia. Seattle Marine Aquarium owner Ted Griffin bought him for $8,000 and brought him to Rich Cove, along Beach Drive. The first Sunday, the 22-foot whale attracted 5,000 people. By September, more than 120,000 had visited, according to the Center for Whale Research (http://www.rockisland.com/~orcasurv/changing.htm). I was one of them. Four siblings and I, 2 to 10 years old, piled into a baby blue 1964 Galaxie 500 and sat for hours in bumper-to-bumper traffic to see the killer whale. There was nowhere to get out and watch. You just stayed in the car, everybody crowding to one side, hoping for a glimpse. Namu left for Seattle later that summer and within a year died of a bacterial infection. How’s that for a ferry-naming story? If you’ve got a better name, or story, we want to hear it. The Transportation Commission will be looking for nominations, and the Kitsap Sun is going to help filter out the best from this community. We’ll gather nominations from readers and our staff, narrow the field and put the finalists up for you guys to vote on. Once a winner is chosen, we’ll submit it to the Transportation Commission, which will judge it against other proposals. There are guidelines. Names should carry statewide significance, represent the state image and culture, and be consistent with the existing fleet. They shouldn’t be commercial or honor individuals, unless the person has been dead at least 20 years, have enduring fame and played a significant role in the region or state. Last time I brought this up, many of you suggested the MV Friedrich, but that’ll have to wait for awhile. One person — Ivar Haglund — made it into the finals in October 2012, when Tokitae and Samish were chosen. The other candidates were Cowlitz, Muckleshoot and Sammamish. Seattle Times columnist Ron Judd, who was nuts when he worked with us at the Sun years ago, nominated Ivar, the singing fish-and-chips peddler. The other names all had tribal ties. You can see what all the other ferries are named here: http://www.wsdot.wa.gov/Ferries/yourwsf/ourfleet/name.htm. My favorites are Tokitae and Chetzemoka because they’re fun to say. I’m not too keen on Samish. They already had Salish. It’s impossible not to mix them up. I’ve already done that a few times in my stories, and the Samish isn’t even running yet. Or is it the Salish? From the sometimes it’s better to do it yourself file. That was the case after a heavy rainstorm undermined Farragut Street on Naval Base Kitsap-Bremerton. An estimate found it would cost $36,000 to bring in a contractor to fix it. Because of budget cuts, no funding was available. Several civilian employees would’ve been needed to award and monitor the contract, for this little section of street, and it would have taken several months. The large pothole remained untouched for two weeks, hindering traffic at Puget Sound Naval Shipyard and Intermediate Maintenance Facility. Plan B was called for. The Seabees answered. A half dozen of them took care of planning and permitting. The Public Works Department provided them tools and materials. They dug out the bad section of road and replaced with with a 15-by-30-foot reinforced concrete slab. It took seven working days and cost the Navy just $4,900. There could be a lesson there. Of the nation’s 63,000 structurally deficient bridges, only 2 1/2 reside in Kitsap County. The county line cuts through the middle of the Hood Canal Bridge, hence the half. Our side was replaced in 2009. Jefferson County’s half sank in 1979 and reopened in 1982. The world’s third-longest floating bridge is considered structurally deficient because underwater cables need to be replaced, says state Department of Transportation spokeswoman Claudia Bingham Baker. About half of them will be changed out this summer and the bridge will come off the list. The William A. Bugge Bridge, as it’s officially titled, is the only Kitsap span appearing on the state’s list of 139. Kitsap County holds two others — Anderson Creek Bridge and Lake Symington Bridge — among its 105-bridge inventory. Anderson Creek, the last timber bridge in the county, is a mile north of Holly. Built in 1950, it’s scheduled for replacement in 2016, said Dan Wolfe, the county’s lead bridge inspector. It only carries about 400 cars a day. The county hasn’t determined what to do with the Lake Symington bridge, which it inherited about a decade ago. It’s problematic because it doubles as a spillway and there are no detailed plans of how it was built. About 1,050 cars cross each day. “Engineering is still figuring out if there’s a way to replace that bridge without doing any additional work to the spillway,” Wolfe said. At the rate the county is crossing bridges off its deficient list, it won’t need bridge workers much longer. They can switch over to replacing culverts. Structurally deficient doesn’t mean a bridge is ready to fall down but that the superstructure, substructure or deck is in poor condition. Just outside Kitsap’s borders are a couple other bridges that make the state list. The Mission Creek bridge on Highway 300 (North Shore Road) in Mason County could use some substructure work. The treated-timber span was built in 1963. Plans for the Purdy bridge in Pierce County are up in the air until it’s decided what to do with Highway 302 in general. Built in 1936, it’s too small to handle traffic on the Purdy spit. Kitsap’s bridges contrast with the way the nation’s were depicted in an analysis this week by the American Road & Transportation Builders Association. It looked at a new National Bridge Inventory database recently released by the U.S. Department of Transportation and counted more than 63,000 structurally compromised bridges. They’re crossed 250 million times every day. Pennsylvania (5,218), Iowa (5,043), Oklahoma (4,227), Missouri (3,357) and California (2,769) have the highest number of structurally deficient bridges; Nevada (36), Delaware (56), Utah (117), Alaska (133) and Hawaii (144) the least. Washington was 37th with 372. Pennsylvania also finished worst in percentage of its bridges that are structurally deficient (23 percent), followed by Rhode Island (22), Iowa (21), South Dakota (21) and Nebraska (18). Just 2 percent of Texas, Nevada and Florida were deficient, followed by Arizona (3), Utah (4) and Washington (5). The ARTBA is worried that bridge conditions will worsen if Congress doesn’t restore the Highway Trust Fund. There will be no finds available from it in fiscal year 2015, which begins Oct. 1. Pretty soon, bus riders will be able to punch their bus stop number into their cell phone and get a quick reply stating when the bus will be there. One route can already do it. Kitsap Transit is testing a new next-bus text messaging system on the No. 25 East Park route. Signs have been attached to the bus stops that include the stop’s number and a phone number. Text the number to (360) 550-3416 and you’ll get a reply detailing which bus routes serve the stop and at which times. If your bus stop is down the street, for example, you can text in from the couch and see if you have time to finish watching Judge Judy. The system is a bonus of automated passenger counters that were installed last year on routed and worker-driver buses. They send out side-by-side infrared beams and record when a person gets on or off, depending on which one is broken first. Besides knowing when and where people get on or off the buses, transit officials will have information on how many people are on a bus at a certain time, how many get on or off at a specific stop and the buses’ on-time performance. The devices were a huge priority of the transit board, which wanted a tool for matching service to demand. The East Park test will run for a few weeks to see how riders like it and get any bugs out, said executive director John Clauson. Questions and comments can be made to (360) 373-2877. Riders will also be surveyed about their experiences. The system’s vehicle locator ability could be expanded to electronic maps at transit centers showing where all the buses are, or electronic bulletin boards at ferry docks showing bus arrival times like at the airport. “We’re just taking it one step at a time now, but we will look at it in the future,” Clauson said.